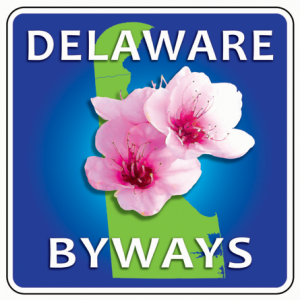 The Delaware Byways Program began in 2000 when the Delaware General Assembly passed Senate Bill 320 authorizing DelDOT to establish what was then known as the Delaware Scenic and Historic Highways Program. 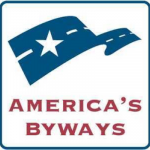 Eventually, the program would be rebranded to what is known today as the Delaware Byways Program. According to the Delaware Department of Transportation (DelDOT), the goals of the program include the identification, promotion, preservation and enhancement of Delaware roadways with at least one of the following intrinsic qualities: scenic, historic, natural, cultural, recreational and archaeological. For an overview of the Delaware Byways Program, including specific information on each byway, visit IPA’s Delaware Byways Spark page. Travelers are invited to patronize local businesses using Delaware Byways Bucks. The coupon voucher is redeemable at a variety of Byway–adjacent small businesses for a variety of special offers. View the #ShopSmall along the Delaware Byways video to learn more about the Byways Bucks program. 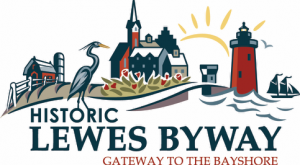 The Historic Lewes Byway, Gateway to Bayshore, is a continuous transportation network that captures the 383-year history of the greater Lewes area. The segments of the route include New Road, Pilottown Road/Front Street, Savannah Road, Kings Highway, Gills Neck Road, and Cape Henlopen Drive. View the Historic Lewes Byway GIS Story Map and and YouTube video. Located in New Castle County, Delaware between state routes (SR) 48 and 52, the Red Clay Valley Scenic Byway is unique because it comprises 28 secondary roads within the Red Clay Creek watershed. 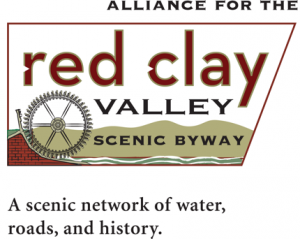 It is the first byway in the United States to be based on a watershed model. The Byway offers views of rolling hills, upland forest, meandering creeks, pastoral flood plains, and opportunities to explore the area’s heritage. View the Red Clay Scenic Byway GIS Story Map and YouTube video. The Delaware Bayshore Byway is a meandering road extending for 52 miles from the City of New Castle to its junction with State Route 1 on the east side of the Dover Air Force Base. The Byway connects nine, major-publicly owned natural areas, bucolic farms, and nine coastal towns. It is a Migratory Shorebird Site of Hemispheric Importance, a Wetland of International Significance, and an Important Bird Area of Global Significance. 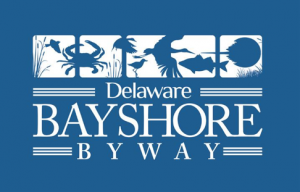 View the Delaware Bayshore Byway GIS Story Map and YouTube video. The Harriet Tubman Underground Railroad Byway begins where the Maryland Harriet Tubman Underground Railroad ends on Willow Grove Road in Kent County, Delaware. The Byway has intrinsic historical value by highlighting Delaware features of the Underground Railroad in the pre-Civil War era. The Underground Railroad served as a method and trail for escaped slaves to free persecution and enslavement in the South for the relative safety of the North. 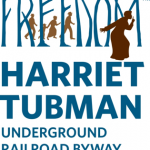 View the Harriet Tubman Underground Railroad Byway GIS Story Map and YouTube video. The Nanticoke Heritage Byway focuses on the Nanticoke River and Broad Creek, the Delmarva Peninsula's longest tributary to the Chesapeake Bay. The Byway extends along several roads in western Sussex County passing through Seaford, Bethel, and Laurel before ending at the Trap Pond State Park. 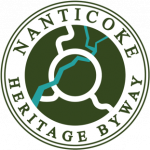 View the Nanticoke Heritage Byway GIS Story Map and YouTube video. The Brandywine Valley National Scenic Byway is part of the National Scenic Byways Program (NSBP). This program is a grassroots collaborative effort established to help states recognize, preserve, and enhance selected scenic routes. From 1992 to 2008, the NSBP has provided funding for almost 2,672 state and nationally designated byway projects in 52 States and territories. The U.S. Department of Transportation has designated this collection of 150 distinct and diverse roads as America’s Byways®. The Brandywine Valley National Scenic Byway starts at Rodney Square in Downtown Wilmington and travels on Routes 52 and 100 to the Pennsylvania state line for over 12 miles. This Byway travels through the rolling hills of the picturesque “Chateau Country” landscape. The byway’s national significance is attributed to its role in Delaware's industrial history, which spans three centuries. It showcases historic sites, magnificent estates, glorious gardens, and museums that reflect the cultural influence of the du Pont family dynasty and remain as lasting legacies of 18th- and 19th-century industrialists. View the Brandywine Valley National Scenic Byway GIS Story Map and YouTube video. The Scenic Tour of Delaware Byways Showcase is a cascade-style GIS Story Map. Scroll down for information about the Delaware Byways program and view the embedded GIS Story Maps that provide virtual tours of each of the six byways in Delaware. View the GIS Story Map.